As chief, Jansen made it known the old way of doing things was over. A new department rules and regulations manual was put out - this one more than double in size compared to the ones previous. The new manual made it clear officers were not to take free meals, curse or abuse prisoners. Officers were also forbidden to drink alcohol or pick up dates while on duty and even smoke in public during regular business hours. After the release of the manual, Jansen met with the press and told them he was ushering in a new police department. Regarding use for force, Jansen told reporters it is seldom necessary for an officer to fire his weapon yet when he does it is to shoot to kill. Another hallmark of the Jansen administration was streamlining the bureaucracy. When Jansen took office the department functioned as almost three police departments in one. There was the detective bureau, traffic division and then patrol. The divide was so formal each division took their own complaints. Under this system, it was not uncommon for officers to find they were duplicating efforts. Jansen solved the problem by bringing the three divisions under one command. With Jansen now firmly in control he set out to accomplish another goal and that was to become the longest tenured chief in SDPD history. With a record of eight years and 110 days set by James Patrick, it would be a challenge to break it. When it was over not only did he shatter the record, he set it so high no one has broken it since. Shortly after the Korean War, the department was again facing an issue of staffing. Studies and detailed reports were made with all kinds of ideas as to how to solve the problem. No matter how well thought out the idea was however, there was always the same stumbling block - no money. Despite San Diego having a solid tax base, it didn’t mean the council’s priority was to spend money on public safety. It wouldn’t actually be until the late 1980’s when the city would begin to suggest making law enforcement a budget priority. With that in mind, the question to the department’s command staff became; how do you increase the effectiveness of the department and not incur a financial burden? The answer came in the summer of 1955 when Jansen issued an order assigning patrolman to single officer cars and those without a car would walk. When the one-man car plan was put into operation, it suddenly appeared to the citizens that the police department had almost doubled in size. In reality the one officer car was nothing more than smoke and mirrors masking the real problem. There simply weren’t enough cops to go around. In 1957 the city annexed the border town of San Ysidro and SDPD officers were assigned to a newly created Southern Division to protect it. San Diego’s city limits now touched the Mexican border and over time a whole new issue would arise in how to police it. After more than 14 years as chief, Jansen stepped down to become Sheriff of San Diego County filling the one-year term of outgoing Sheriff Bert Strandt who was retiring. In 1964 Jansen ran for a full four-year term as sheriff and despite having the endorsement of all local media, lost the election by 3,000 votes to El Cajon Police Chief Joseph O’Connor. 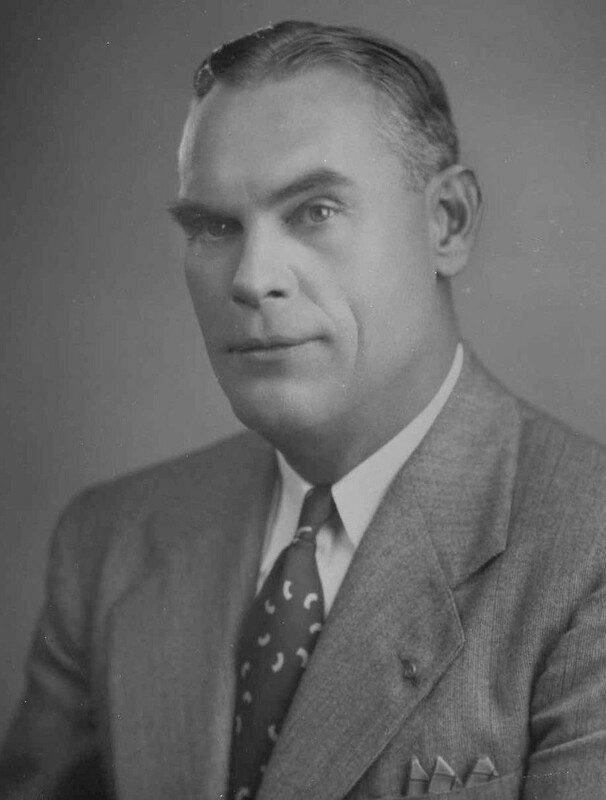 Elmer Jansen died in 1978. If a typical new police chief is one who takes office and then spend the next several months watching how things operate before making changes, Adam “Elmer” Jansen quickly proved he was anything but typical. On his first day in office on October 16, 1947, he showed up in full uniform and within hours he had transferred a number of officers, issued several official orders and made promotions. Days later he transferred all of the police lifeguards to the newly formed Park and Recreation department. For Jansen his first day as chief was a long time coming. He had planned for this very day since his first day as a San Diego police officer on March 8, 1932. Jansen’s first years were spent in patrol but he had his eye on bigger things - promotion. He quickly discovered which other politically motivated officers he needed to align himself with to make his plans work. One of those men, Wes Sharp, would become his best friend and the only member of the police department he would ever completely trust.